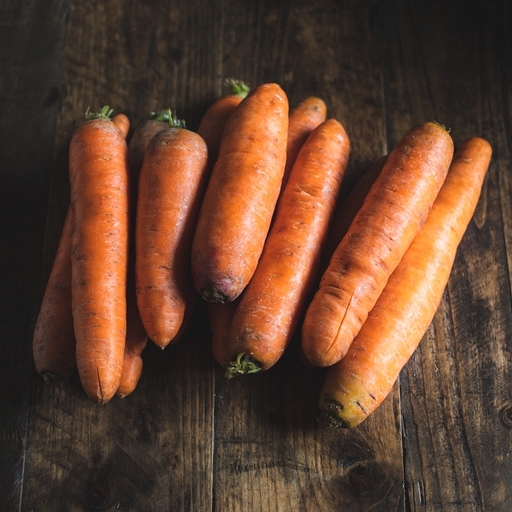 We’ve grown and tasted countless carrot varieties in our quest to bring you the best flavour. This bumper bag of juicing carrots is full of outsized roots that are a little too large for our veg boxes. Wonderful for carrot juice (or for hungry pets), it would be a criminal to waste them, so this bag’s a thrifty buy. Take 3 large carrots, juice with a whole apple and a chunk of fresh ginger for a quick, healthy juice. A vibrant boost in a glass.